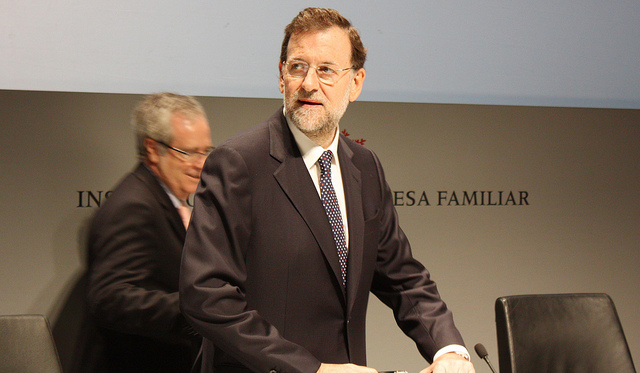 Acting Prime Minister Mariano Rajoy on Thursday (18 February) said Spain would “most likely” hold new elections on 26 June after months of political deadlock. Rajoy said “the most likely thing is that there will be elections on June 26”, according to a conversation overheard with British Prime Minister David Cameron at an EU summit in Brussels. “We have an investiture ceremony in March and I believe it will not work out,” Rajoy was heard telling Cameron, apparently unaware that he could be heard on camera. He made the comments as Spain’s Socialist chief, Pedro Sanchez, is struggling to form a minority government. Sanchez, whose party came second in the 20 December general election, was nominated by King Felipe VI earlier this month to negotiate a coalition after Rajoy declined an offer from the monarch to lead the first round of coalition talks. Rajoy’s conservative Popular Party (PP) won the most seats but lost its absolute majority in parliament in the election which left the assembly fractured along four main formations — none with enough seats to govern alone. He has a little over two weeks to try and form a coalition government that will be put to the test in a parliamentary vote of confidence scheduled to he beld on March 2 or the next day. “I am working for Spain to have a progressive government while others in Brussels already talk of new elections. Pitiful,” Sanchez wrote in a Twitter message after Rajoy’s spoke. With the Popular Party and the Socialists refusing to support each other, Sanchez will need to win over at least one of two new parties which won support in parliament for the first time in the December polls — market-friendly Ciudadanos and anti-austerity party Podemos. Spain’s two biggest left-wing parties ruled out supporting a government led by the ruling People’s Party (PP) on Monday, complicating Prime Minister Mariano Rajoy’s efforts to build a coalition to stay in power after a tight general election. But in a possible breakthrough to the deadlock, Podemos chief Pablo Iglesias said he had agreed to four-way talks between the negotiating teams of his party, the Socialists, smaller far-left party Izquierda Unida and Compromis, a regional grouping from Valencia in eastern Spain. “It’s a good idea… We’re fully available for our teams to meet and talk,” he said. 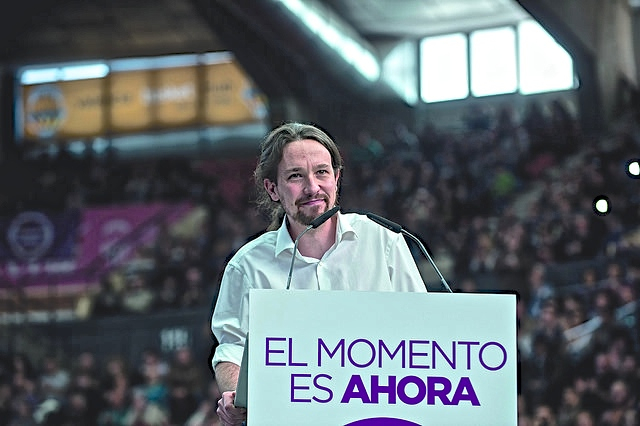 A coalition between the four parties is still far from an agreement, with the Socialist and Podemos divided over key policy areas. Podemos, for example, strongly backs a referendum on independence in the wealthy northeastern region of Catalonia, which Sanchez opposes. Recent polls suggest that Spain’s four main parties would obtain roughly the same result as they did in the 20 December election — though some indicate Podemos could overtake the Socialists as the second-biggest party, surpassing the Socialists.